Experience the Lush Tropical Splendor and Quiet Luxury of the Stunning North Shore from the Private Lanai of your own Deluxe Kauai Condo Getaway at the Award-winning Cliffs Resort. 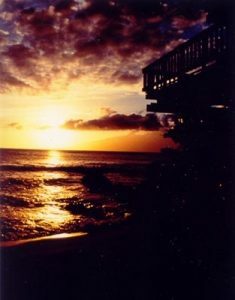 Ideally Located in the World-Famous Resort Vacation Destination of Princeville, you’ll Marvel at the Breathtaking Sunsets and Stunning Oceanfront Views from your Beautifully Appointed Oceanfront Kauai, Condo Rental . . . in one to the Most Spectacular Settings on the Magical “Garden Isle,” Featuring Swaying Coco Palms, Towering Waterfalls and Dancing Rainbows! 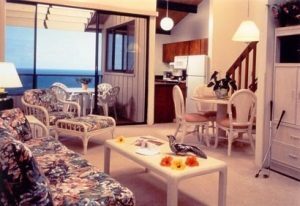 Relax in Comfort & Style form your Beautifully Appointed Kauai Condo Showcasing a Tropical Island Decor, while Soaking up the Gorgeous Oceanviews as the Gentle Trade-winds Caress your Senses. 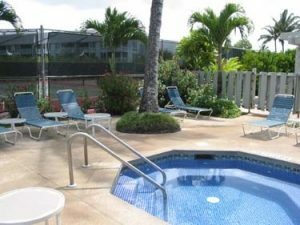 Additional Appointments of your Kauai Vacation Condo Getaway Showcase 2 Private Lanais, 2 Full Baths, Fully Equipped Kitchens, Daily Maid Service, Color-Cable TV’s &VCR’s. For your Added Vacation Pleasure, Take a Refreshing dip in the Heated Pool, Play A Couple Sets of Tennis on our Lighted Courts, Relax in the Spa & Sauna and Enjoy the Clubhouse and Recreation Pavilion. At days end, Prepare your Favorite Catch on our Gas BBQ’s. For the Golfing Enthusiast, you’ll be challenged by 2 Spectacular Adjacent World-Class Courses – the Prince and Makai – while Enjoying Preferred Guest Rates. Casual to Elegant Shops & Restaurants are Just Moments Away! Experience the most Beautiful Setting in the Entire Island Chain . . . on the Lush North Shore at the World-Famous Princeville Resort Vacation Destination on the Magical “Garden Isle” . . . at the Award-wining Oceanfront Cliffs Resort. 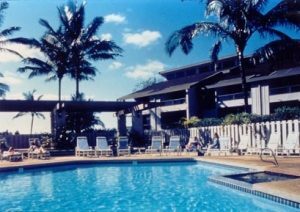 SIZE/CATEGORY: Your Oceanfront North Shore Tropical Paradise Getaway Features your Choice of Spacious 1-Bedroom/2-Bath Kauai Condo Rentals that Accommodate up to 4 Guests; or Spectacular 1-Bedroom + Loft/2-Bath Kauai Condos that sleep 6. All Linens & Towels Provided.